Music Charts Magazine® Presents – “NEW DISCOVERY” – “Angel Mary & The Tennessee Werewolves“- for the month of November 2014. 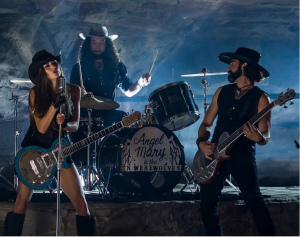 Check out this Music Charts Magazine® “NEW DISCOVERY” Interview with “Angel Mary & The Tennessee Werewolves” and be prepared to be excited knowing there is still 100% awesome music out there that you still have not heard. After you listen to this great radio interview pasted below of “Angel Mary & The Tennessee Werewolves” we are sure you will be glad you found this “New Discovery” and their song “Loving You” to add to your music playlist. This is the story of 3 werewolves. Picture it. There is a papa werewolf and his two offspring. It’s a full moon. Three unfamiliar sleek shadows appear upon the back of night stage wall. The lights dim, guitars clash and symbols smash – Johnny Cash’s Folsom Prison rings through the big speakers and the crowd stands at attention. Howls can be heard through the night skies. The crowd goes wild as they realize that it is Angel Mary & The Tennessee Werewolves. Angel Mary and The Tennessee Werewolves a new family trio Country sensation bring a rebel yell to Country music. With the cool collective sounds of old fashion dixie roots, bluegrass picking, Haggard styled lyrics and rocking high engery vocals. The Band Consist of Angel Mary on Lead Vocals and Guitar, Christian Wolf on Vocals and Drums, and Antoine Wolf on Vocals and Bass Guitar. Make no mistake this is a Family tradition,”pass the biscuits please “. Angel Mary , Christian Wolf and Antoine Wolf are all related. Having a name as unique as this band, Angel Mary & The Tennessee Werewolves push forward on their music endeavors by reaching out, and stepping out of the box. The name being derived from Johnny Cash and his song the “Beast in Me ” from his American Recordings sparked the band to record Folsom Prison Blues, a song they hold close to heart. 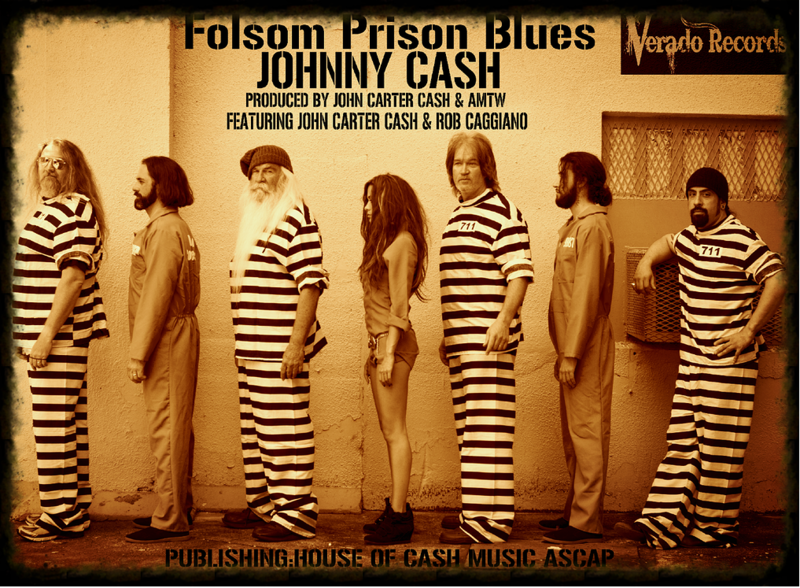 Not only did AMTW record this new epic single at the Cash Cabin where the American Reordings were recorded, they also had John Carter Cash co-produce the single and play an acoustic track on it. Giving it the “Cash” stamp of approval.